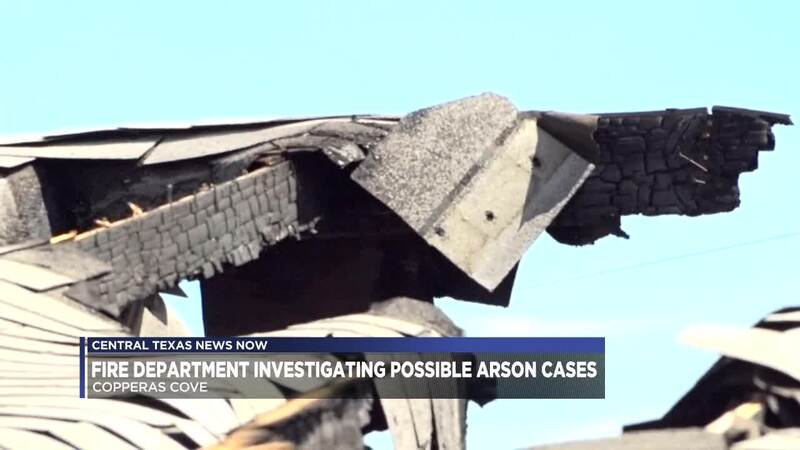 COPPERAS COVE, TX — The Copperas Cove Fire Department is investigating three separate occasions of possible arson in the Randa Street neighborhood. “It’s very unnerving because my wife’s disabled. It’s a large fire and it burned for maybe six or eight hours,” said Manuel Martinez, a neighbor. The fires on two occasions happened in a home undergoing renovations just days apart. The first fire happened on Saturday, Feb. 9, and the second one happened on Thursday, Feb. 14. “The owner passed away about a year and a half ago. They had just started remodeling, and apparently getting pretty close to finished,” said Vernetta Jackson, who was the victim of a third fire. On Feb. 21, her car was set on fire while she was sleeping. She says neighbors contacted the fire department. The siding of her garage and gutters were melted from the heat of the car fire. Fire officials said that during two of these fires, witnesses saw suspicious individuals in the area. “I talked to several of the neighbors and they were watching each other’s houses a lot closer just because, it’s three fires in less than a month...probably closer to three weeks. Kind of makes you a little uneasy,” said Jackson. Anyone with information on these cases is asked to contact the Copperas Cove Fire Department Arson Investigators. Tips can be made anonymously by calling the Copperas Cove Crime Stoppers at 254-547-1111. Crime Stoppers is offering up to $1,000 for tips that lead to an arrest.